Undoubtedly, Thesis theme is one of the most powerful WordPress themes released till now. Thesis theme is unbelievably fully customizable. You can make it look however you want and boast the strongest SEO of any theme. There are lot of premium thesis skins and free thesis skins available on the net. You can download and easily implement them. Please take backups of your Thesis theme before implementing this tutorial. Highly recommended for the sake of your blog. How To Install Thesis Skins? 1. First download and install Thesis Import/Export WordPress plugin. With this plugin, you can download individual data files for Thesis Options, Design Options, and all OpenHook content. After downloading, upload the plugin to /wp-content/plugins/ directory through FTP or upload using the Dashboard directly. Now, activate the plugin through the ‘Plugins’ menu in WordPress. 2. Now you need to upload the Thesis skin files to your Thesis custom folder. Use FTP Client for this. FileZilla Recommended! 3. Use the Thesis Import / Export plugin to automatically set all the correct Thesis options! It is also possible to edit the color pattern and make changes to them. Great tutorial. I’ve been striving to get this to work for a blog of mine, but now I finally managed to make it work. Thanks so much 🙂 I think I will use it for all of my blogs! The import/export plugin isn’t working for me. Is there any way to upload directly through FTP? The two things I like about Thesis are: Fully Customizable and SEO. Most Powerful WP Theme, Im gonna buy it in a month!! Just perfect for me! I'm installing skins now so thanks for the tutorials! .-= John's last blog…DiGi Bites A Piece Of Apple =-. .-= Simrandeep’s last blog…How To Add jQuery Dynamic Go To Top Button To WordPress Blog =-. .-= NpXp’s last blog…Wordpress SEO Friendly Images Plugin =-. Thanks for the tutorial, I will refer back to it when I do purchase Thesis, hopefully soon! 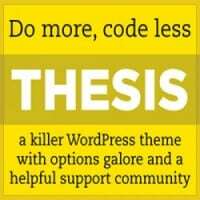 Thesis is really good and your tutorial will be helpful for all thesis lovers. .-= Whiztechy’s last blog…All in one Social Networking Platform: Sendible =-. Nice tutorial here buddy and it will help people who want to install thesis skin from filezilla. .-= Suhasini’s last blog…Loudable is Kicking-off “All Categories” from 1st April till 31st May =-. Umm.. I dnt knw much bout it wel i will try it later thanks for d info dude! .-= Tech Sputter's last blog…<a href="http://www.techsputter.com/reviews/websites/some-useful-sites-for-online-storage/">Some useful sites for Online Storage…</a> =-. 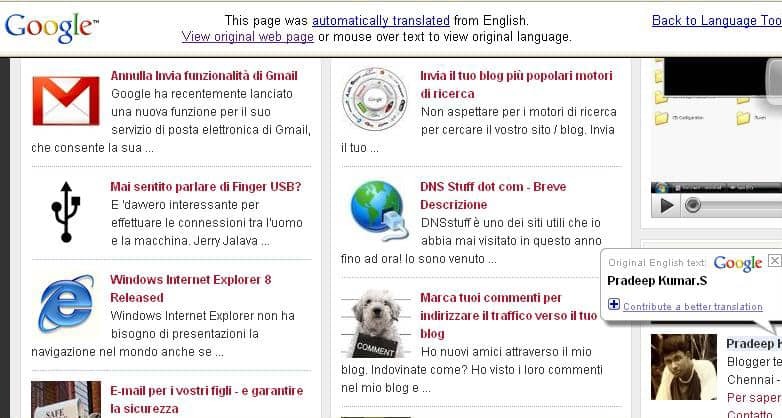 .-= NpXp’s last blog…Use Gravatar WordPress Comments =-. As usual, WordPress has come up with an attractive theme that would make any blogger proud to display it. WordPress continues to offer the new blogger the best opportunity to put a great face forward for both personal and business purposes. In the “old” days, one would struggle along for years before one’s site was truly professional looking. Now on day one, one can have the look and feel of a real professional, and that’s to everyone’s benefit. Thanks for sharing this theme. Terrific. I have removed the url from this comment so that your site will not trash the comment without your having a chance to read it. Unfortunately, this site is sending all comments with the ToysPeriod.com url to the trash courtesy of Akismet. ToysPeriod is not a spammer. They are a do follow blog who would love to give you a free backlink should you visit. Under no circumstances would they send your thoughtful comments to their trash. Please check your trash. You will find my comment there. Thesis is one of the best Framework.